Alexandria Moulding Hemfir Burlap 3/8 x 1-1/2 In. Donned over transitional spaces to mask joints to give the illusion of seamless construction. Unattractive seams or blemishes can be miraculously hidden, creating a patterned look to your application. A mould of symmetrical pattern that is utilized to conceal the line where two parallel boards or panels meet. Sometimes called Panel Strips, these mouldings are applied over window jamb edges in a multiple opening window. Mullion strips are also used for decorative wall treatments. Alexandria Moulding Hemfir Wainscott 9/16 In. x 1-1/8 In. Wainscotting was brought to the United States by early English settlers. It instantly adds character, style, and a sense of history to a home. Don't forget to add the final touches with our wainscot cap a simple way to finish the look with crisp clean lines. Alexandria Moulding Metal Flat Bar Mira Lustre 1/8-inch x 1-inch x 8 Ft.
A general purpose utility moulding that has a wide range of uses. These include: Protective Corner Edging, Railings, Security Grilles, Conduits, RV Repairs, Boat Accessories, etc. Poplar Hobby Board 1/4" x 3" x 2 Feet A plethora of application opportunities exist within the realm of the S4S board family. 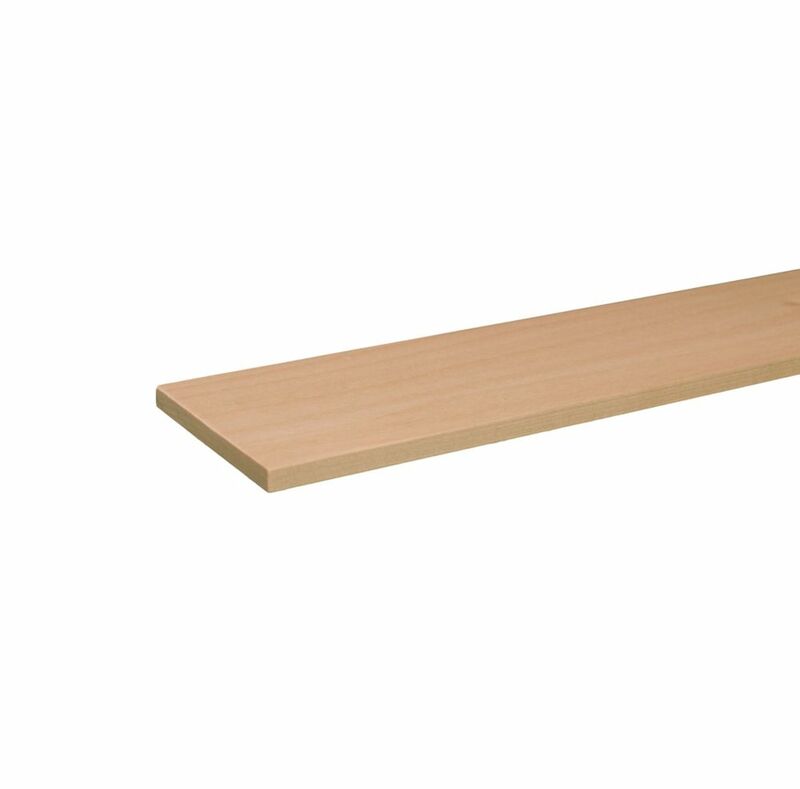 Surfaced Four Sides boards (S4S) are used for cabinetry work, shelve frames, and other utilitarian uses. These are the foundations for build up combination detailing and designs. They can be used in conjunction with other smaller decorative components such as: back bands, base caps, coves, and base shoes. By using your creative spirit these items will appear to be one.